If you want to browse through a wide selection of incredible new and used Chevy's by Waukesha, WI for sale, then you need to stop on by Ewald's Chevy dealers by Waukesha, WI, Ewald Chevrolet Buick, where you can surely satisfy all your Chevy needs and more! With Ewald's Chevy dealers by Waukesha, WI you will be able to freely browse through a wide variety of new and used Chevy's by Waukesha, WI for sale, with a wide range of great models, styles, and more to try out! With Ewald's Chevy dealer in Milwaukee, you and many drivers like yourself are sure to have a much easier time finding the brand new or gently used Chevy by Waukesha that is perfect for you, a vehicle that is right for the daily challenges you face and more! Ewald's Chevy dealers in Milwaukee will also boast a wide array of impressive lease offers, used car deals, and affordable prices that help you fit the vehicle you want into your budget! 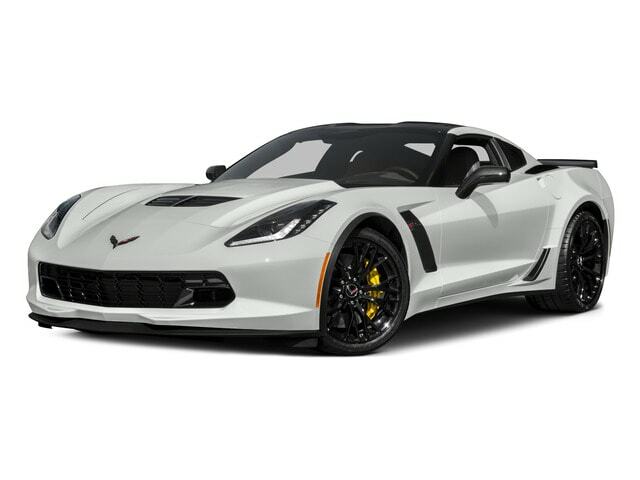 So make a stop by Ewald's Chevy dealers in Milwaukee today and take a good look at our new Chevy cars for sale and more, such as this sweet used Chevy Corvette for sale, the 2015 Chevrolet Corvette Z06. If speed and style are what you want, then this used Corvette for sale is the right car for you, as this impressive used Chevy by Waukesha has more than enough of both, and with plenty more to offer you as well. With this used Corvette for sale, you will have all the speed and power you need for any adventures you undertake, as the incredibly powerful 6.2L (376 ci) supercharged V8 DI Engine is easily capable of putting out a blindingly fast speed that reaches up to 650 horsepower, and also generates an astonishingly powerful 650 pounds per foot of torque power. This all comes together you give you an amazingly powerful and enjoyable vehicle that you are sure to love driving around wherever the road takes you. However, even though this used Corvette for sale offers even more with the impressive range of many features and options that it has in store for you. Such features and available options include the Speed Sensitive Steering, as well as Outside Temperature Gauge, as well as the Multi-zone Climate Control and more! So come on by Ewald's Chevy dealers in Wisconsin today and take a good look at our used Corvette for sale today, and drive away with a vehicle you can enjoy for years! Stop on by Ewald Chevrolet Buick today and take this used Corvette for sale out for a test drive, located here at 36833 E Wisconsin Ave Oconomowoc, WI 53066! Take this vehicle out on a test drive today, and you are sure to fall in love with it! Stop by and see this vehicle for yourself today before someone else drives away with it!